The Calgary Transit bus driver who refused to drive a rainbow-wrapped city bus during the city’s Gay Pride festival claims he has been fired. Jesse Rau said in a statement via his church that he was called in to work Thursday and told be was being dismissed. “I was shocked when my supervisor called me in to chastise me about my personal Facebook posts and to inform me that if I wanted to have a good career with the Calgary Transit, that I should stop posting my personal opinions on Facebook,” Rau said in the statement. 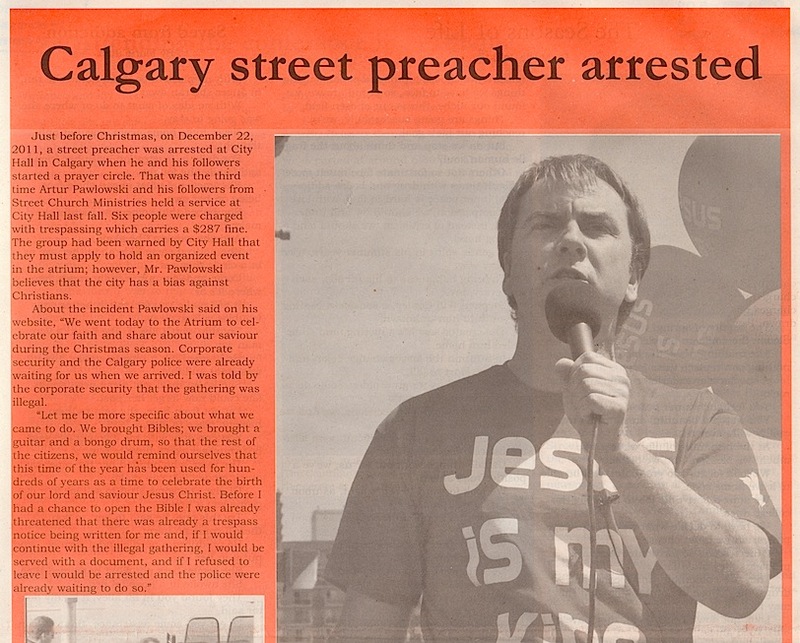 Rau, who has worked for Calgary Transit for about a year, went to the media late last month saying he would quit his job if he was assigned to drive the “Pride Bus.” He said he’s a Christian and can’t support homosexuality. He claims that prior to his dismissal he was being considered for a supervisor position based on his good work performance. Last month Doug Morgan, director of Calgary Transit, said drivers can only refuse to work based on safety issues. “What we would do is open a dialogue with them and chat with them and ask them about their issues and making sure we’re being sensitive to their beliefs, but overall the service has to go out and we would ask them to drive the bus,” Morgan said at the time. Calgary Transit has not commented on the alleged firing.